The weather has changed here in London. The cold has taken over and Autumn has arrived. It’s time to say goodbye to my Summer makeup and welcome those Autumn shades back in to my life. I find that the easiest way to update my look is with lipstick and nail polish. I have been loving ‘Gospel’ lipstick from the new MAC Brooke Shields collection. 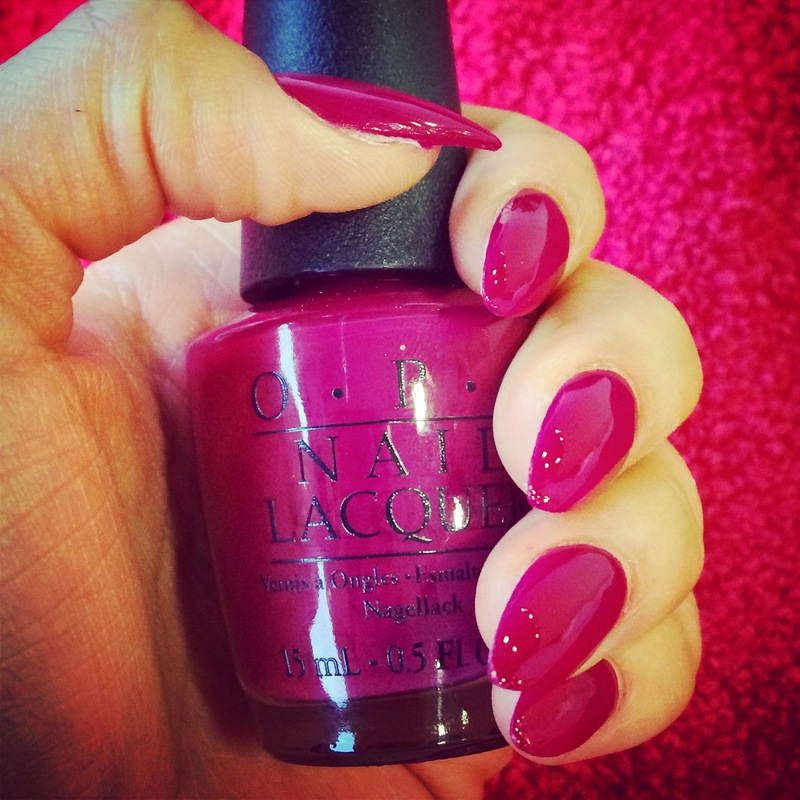 It’s a rich burgundy red colour – perfect for Autumn! Read my review of it here. I recently ditched my short summer nails in favour of my long gel nail extensions again. 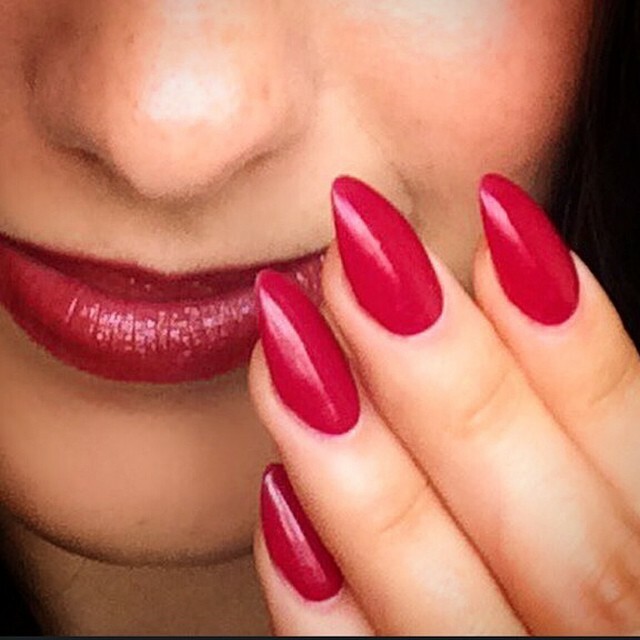 I couldn’t resist this gorgeous racy red-violet ‘Miami Beet’ shade by OPI. Don’t you just love their witty names?! 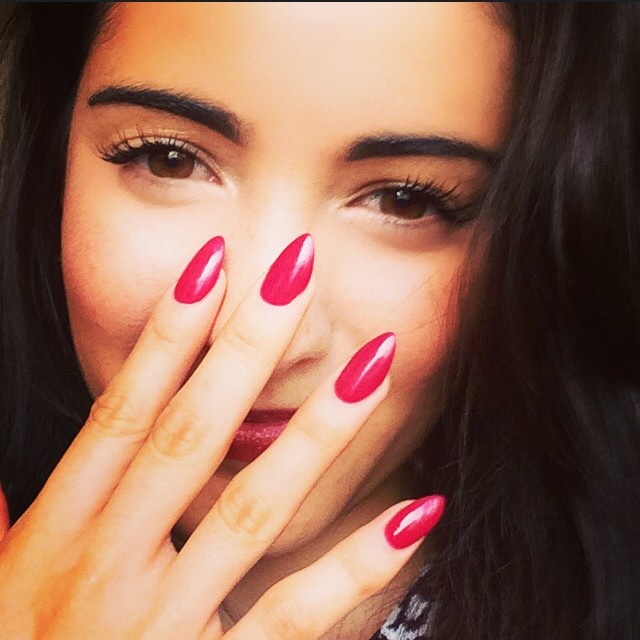 This lipstick and nail colour combo is a match made in heaven! What makeup do you use in Autumn?